Caguas Mayor William Miranda-Torres will lead a group of entrepreneurs in the municipality on a trade mission to Bogotá, Colombia today, to identify business and investment opportunities in the South American country. The group of eight companies leaves today and will return Thursday, town officials confirmed. “In challenging times like the ones we’re facing, we have to look beyond what we know, use experience and knowledge to look for other possibilities,” Miranda Torres said. 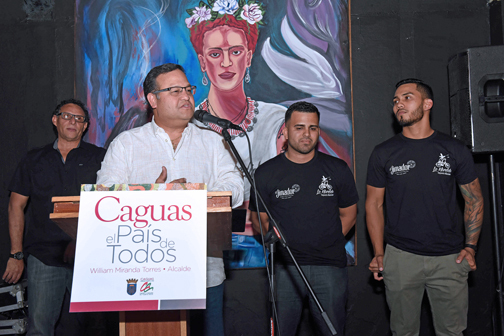 Through the town’s Economic Development Department’s “PromoCaguas” entrepreneur support program, Caguas assists its businesses with options to export products and services, he said. “Similarly, we go in search of options and projects to benefit the city and its people. Business agreements with other countries add value to our economic development efforts, contributes to the city’s economic activity, and encourages job creation and the influx of new revenue to the city,” the mayor said. The delegation traveling to Colombia includes representatives from sectors including: business consulting services; education; information systems; engineering; recycling; fashion; and distribution, among others. The companies and Miranda-Torres will begin the mission with a seminar on doing business in Colombia, followed by about 65 meetings with potential Colombian clients and partners identified based on each entity’s profile. The mission is organized by Puerto Rican company Panorama PR LLC, whose president, Luis Alberto Álvarez, ran the Government of Puerto Rico’s Office in Colombia until March, when the administration closed it, citing the island’s financial crunch. Hey Buddy!, I found this information for you: "Caguas Mayor leads trade mission to Bogotá this week". Here is the website link: https://newsismybusiness.com/caguas-mission-bogota/. Thank you.